The latest production numbers for the month of April show North Dakota producers came very close, but didn’t quite break the state’s record for average daily oil production. The April figure of 1,224,948 barrels/day was about 2,500 bbl/day short of the all-time high set in December 2014. The state did set another new record for natural gas production, averaging more than 2.24 billion cubic feet per day. Lynn Helms, director of the Department of Mineral Resources, said he was surprised by the five percent surge in April production. But he said there’s no guarantee the surge will continue to produce a new record in May, primarily due to gas capture challenges. Click here to listen to Helms comments. Helms said construction of gas capture infrastructure will likely slow growth in oil production, and he said workforce challenges will be another limiting factor. If the state can attract more workers, Helms predicts the industry could add 10 more drillings rigs and six frac crews this summer, which will put a lot of pressure on communities in western North Dakota. Click here to read the Director's Cut. Click here to read the production report. When the crude oil export ban was lifted a few years ago, the price gap between the U.S. benchmark West Texas Intermediate price (WTI) and the global Brent price closed substantially. But pipeline constraints are causing the gap to widen again. Click here to listen to Kringstad’s comments. 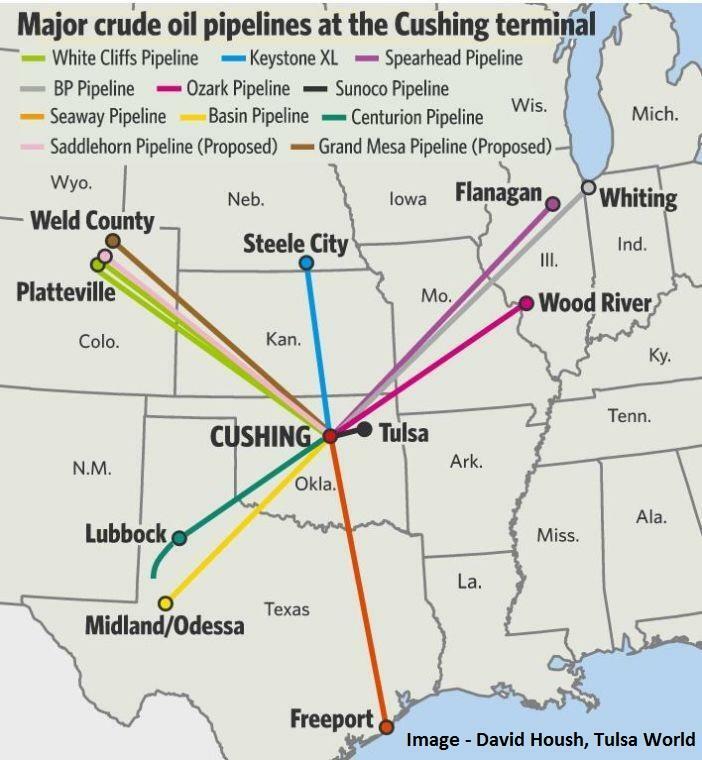 Kringstad said North Dakota’s current pipeline takeaway capacity exceeds the amount of oil being produced, so Bakken prices are actually higher than some other plays in the United States. His analysis shows completion of the Dakota Access Pipeline last year added $3.05/barrel to the value of North Dakota crude. But he says with production climbing, the situation could change very soon. Kringstad made his comments during an interview on Energy Matters. Click here and advance to the 2:30 mark to listen to the full interview. The radio program airs every Tuesday from 3:00–5:00 CST on KFYR and KLTC Radio, and is rebroadcast Saturday on WZFG and KTGO Radio. The North Dakota Department of Health this week gave Meridian Energy the green light to build the Davis Refinery, issuing an air quality permit for the proposed facility near Belfield, and the company plans to waste no time getting started. "We're staking the project now so dirt moving can begin," said Meridian Communications Director Adam Williams. It took 18 months for the review process, including public hearings and comments. More than 10,000 comments were reviewed, and revisions were made before the Permit to Construct could be issued. “Emissions from the facility are expected to comply with all applicable federal and state air quality regulations,” said Terry O’Clair, Director of the Health Department's Division of Air Quality. “Meridian’s design efforts, which included modifications and improvements made as a result of their rigorous review, have ensured that the Davis Refinery will operate in full compliance with the law, and in a manner that is responsive to the concerns of the local community," said Meridian CEO William Prentice. Davis Refinery officials promise the facility will be the cleanest and greenest refinery in the world thanks to modern technology that has been developed since other refineries were built. Click here to read a Bismarck Tribune article about possible appeals by refinery opponents. When all the ballots were counted Tuesday night, the top two vote-getters in the race to become Watford City's next mayor were tied with 267 votes apiece. Justin Johnsrud and Philip Riely will have to wait until next week to find out which of them wins the contest to replace Mayor Justin Voll, who did not seek re-election. Gregg Schuetze finished third in the race with 143 votes. Riely, currently a member of the city council in Watford City, is a lease operator for Whiting Oil and Gas. Johnsrud is the career and technical education teacher and head football coach at Watford City High School, and currently serves as president of the city park board. The outcome of the election may be determined by absentee ballots which had not yet been received by the McKenzie County auditor. 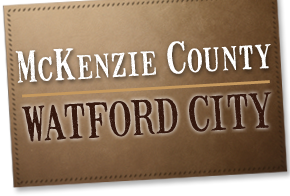 Three candidates for the Watford City Council were unopposed. Steve Sanford and Aaron Gravos were re-elected to the Watford City Council, and Lindsay Veeder Wingerter was elected to the seat vacated by Riely. Current Minot City Commissioner Shaun Sipma was elected Mayor in Tuesday's election, replacing Chuck Barney who did not seek re-election. Sipma, an agent for ND Farmers Union Mutual Insurance, received 3,056 votes, defeating his nearest challenger Timothy Mihalick by about 500 votes. In Dickinson, incumbent City Commissioner Klayton Oltmanns lost his re-election bid to Nicole Wolla. Another Dickinson incumbent, Jason Fridich, won re-election and was the top vote-getter. In Williston, City Commissioners Chris Brostuen and Tate Cymbaluk were both re-elected. Watford City voters approved removing the $25.00 sales tax cap on purchases made in the city. Voters in Beach and Killdeer defeated city sales tax measures. Bowman voters renewed a 1% health care sales tax and passed another 1% tax for parks and rec. Belfield voters approved a property tax exemption for new or expanding businesses. Dickinson voters rejected increasing the school district building fund from 10 mills to 20 mills. And by just two votes, Slope County voters defeated an extension levy. Click here for the ND Secretary of State's Election Results page. 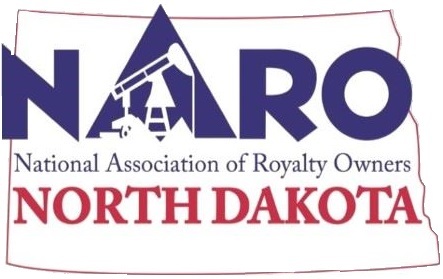 The North Dakota chapter of the National Association of Royalty Owners will be offering free education to the public as part of the group’s annual convention June 28-29 at the Ramkota Hotel in Bismarck. Tony Watterud, ND Chapter President, said for the first time ever, the conference will kick off with a session called Mineral Management 101. Click here to listen to Watterud’s comments. The agenda also includes a panel discussion about post-production deductions, a presentation about prospective shale oil zones, remarks from Lands Commissioner Jodi Smith, an update from ND Petroleum Council President Ron Ness, and the convention closes with a presentation by WDEA Executive Director Geoff Simon discussing impacts and needs in western North Dakota communities. 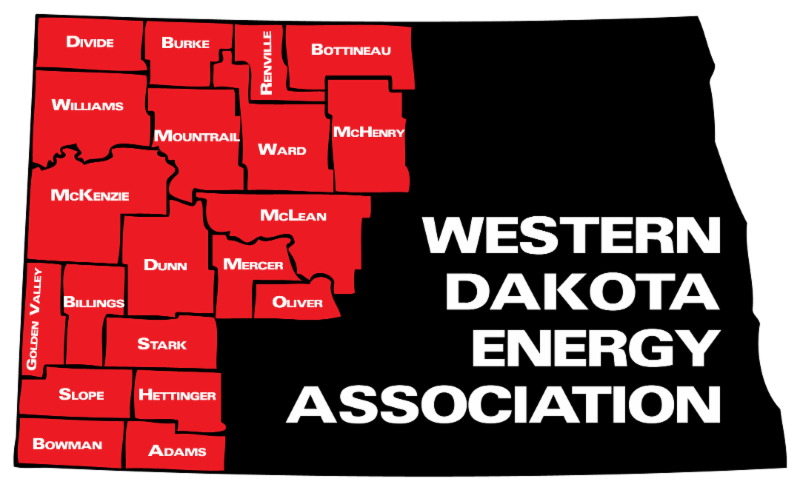 Watterud, who was interviewed this week on the radio program Energy Matters, said he would like to see more people join NARO’s North Dakota chapter. 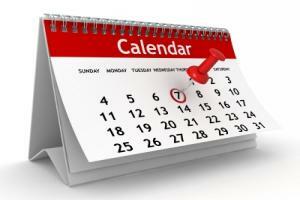 Click here to see the agenda and learn how to register for the conference or the free class. How does a small North Dakota community afford to maintain a municipal water system? It’s getting a lot tougher, according to Becky Tebbe, the mayor of one of those rural communities. Tebbe is the mayor of Benedict, population 75, located in northeast McLean County. She described her town’s drinking water system this week to members of the ND Legislature’s interim Water Topics Committee. Tebbe, who describes herself as an “operator in training,” said the municipal water system was built in 1968 and serves 42 water accounts. Although the town has fire hydrants, she says they are only used for flushing because the hydrants lacks adequate pressure to provide fire protection. Tebbe said the system, which get its supply from the North Central Regional Water District, is aging and in need of repair and upgrade. She said it’s estimated the work would cost $1.5 million, which would require significant grant assistance. As an alternative, Tebbe said the city’s residents have talked about connecting to a rural water system, which would also be an expensive option. The city has commissioned a rate study to determine which option is better. 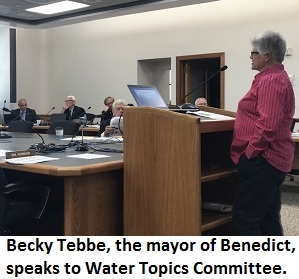 Tebbe said the residents of Benedict have been informed that either way, their water rates are going to increase. Click here to view Mayor Tebbe's slide presentation. 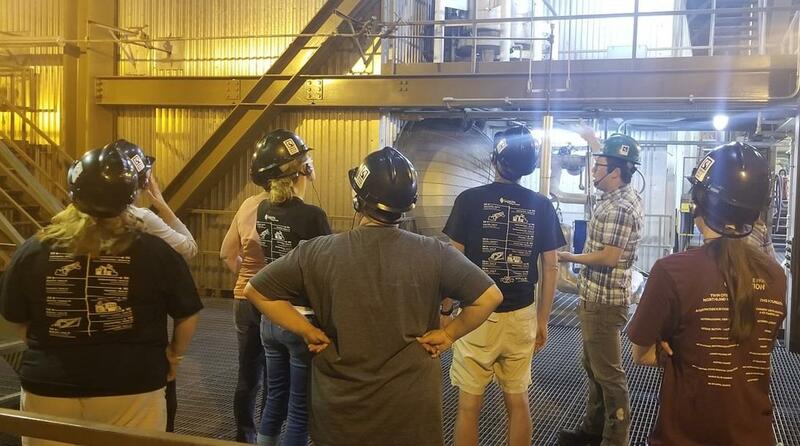 Classroom instruction and mine and plant tours were on the agenda this week for 130 area educators who participated in the Lignite Energy Council’s annual teacher seminar. Teachers were divided into three groups for the tour. 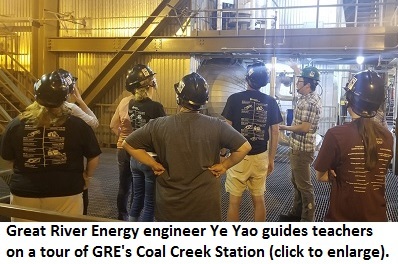 Each one toured the Great Plains Synfuels Plant near Beulah, but saw different mines and generation facilities. One bus toured BNI Coal’s Center Mine and Minnkota’s Milton R. Young Station, another toured The Coteau Properties' Freedom Mine and Basin Electric Power Cooperative’s Antelope Valley Station, and the third busload of teachers toured the Falkirk Mine and Great River Energy’s Coal Creek Station. The classroom portion of the seminar was held at Bismarck State College. Participants receive professional development credit from the University of North Dakota, North Dakota State University, or Minot State University. Click here to check out the Lignite Energy Council's educational resources available to teachers. 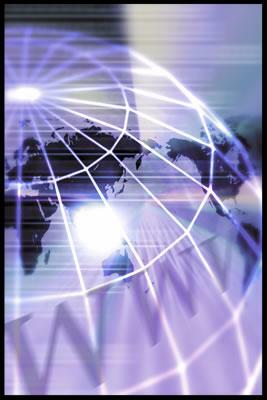 The North Dakota Petroleum Council hosts a similar seminar for educators next week. Teachers will learn about the oil industry and take projects, lessons, and ideas back to the classroom. The seminar is a way to help instructors show students how geography, math, chemistry, geometry and other classes tie into oil and gas industry careers. The event will be held June 18-21 at Bismarck State College. Attendees will also tour a drilling rig, production site, refinery and other industry facilities. 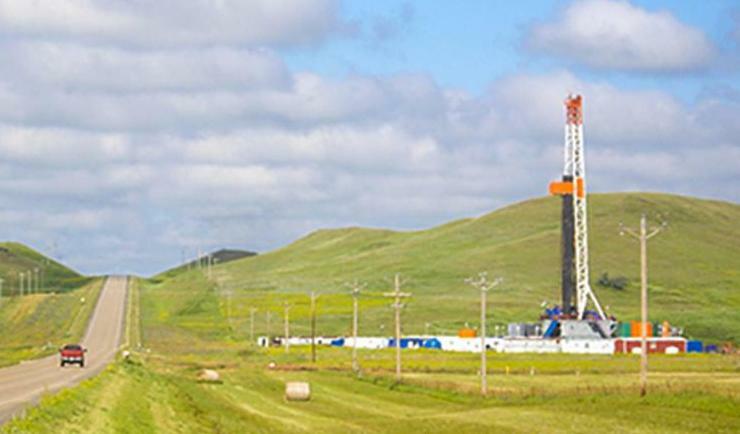 The ND Land Board is accepting grant applications from cities, counties, schools and other taxing districts to help pay for unexpected cost impacts of oil and gas development. The grants are intended to offset expenses associated with an emergency or unanticipated incident where the damage or project is directly related to or impacted by current oil and gas development. The Energy Infrastructure and Impact Office will accept applications through 1:00 p.m. CST on August 30. Applications must explain how oil and gas development is impacting the political subdivision, how the work addresses one or more of three factors (public health, welfare or safety) and how the project benefits or impacts the public. Applicants should also provide design and bid information, maps or photos and the project timeline. Nearly $2 million in grant funding is available, dollars that were carried over from appropriations in the 2013-2017 time frame. Click here for additional details and application instructions. 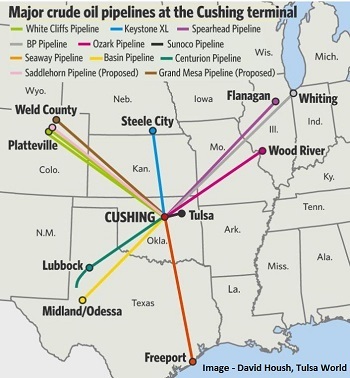 North Dakota Senator John Hoeven this week reintroduced legislation to improve the process for permitting and building cross-border pipelines and power lines. 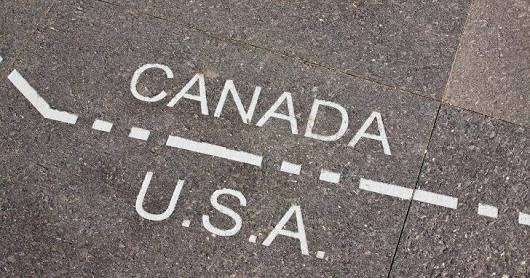 focuses the federal review to only the portion of the project that crosses the border. Click here to read more from Senator Hoeven's office. 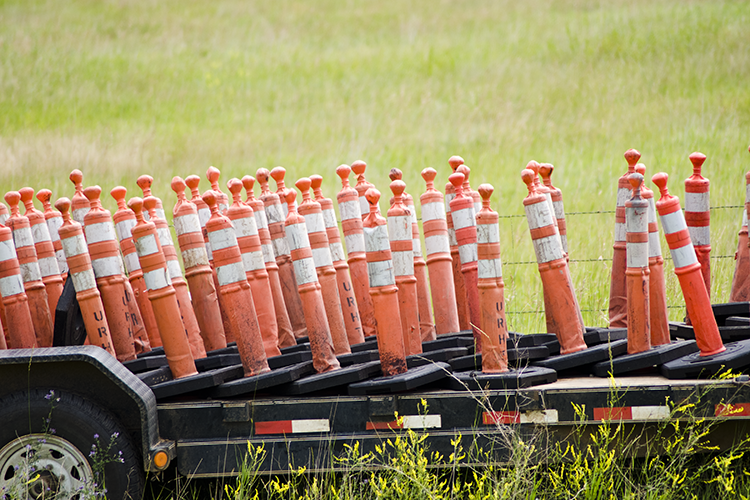 The ND Department of Transportation will begin work next week on construction projects in Billings and Golden Valley Counties. Work is scheduled to start June 21 on a 19-mile stretch of Highway 16 from Beach to near Beaver Creek, and will continue through the end of July. Flaggers and pilot cars will be in place, and delays can be expected as crews mill and resurface the highway. Just outside Medora, crews will start work Tuesday on the Interstate 94 overpass, both east and west bound lanes. Work will consist of a deck overlay, slab repair, pavement repair and replacement of the guardrail. Lanes will be restricted to 12-feet. One lane of traffic, reduced speed and flaggers will be on site. The project is scheduled for completion by the end of September.